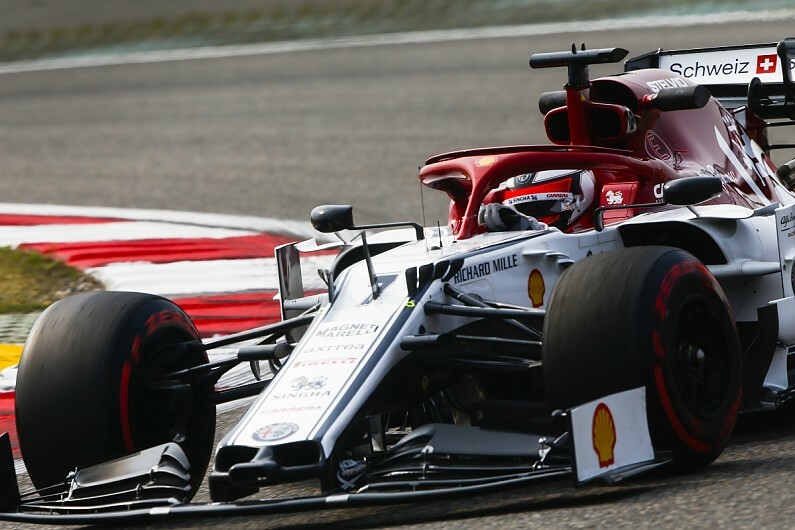 Alfa Romeo Formula 1 driver Antonio Giovinazzi says his team did not know at the end of Friday's Chinese Grand Prix practice what sidelined him during the first session. "It was an issue we didn't find yet," said Giovinazzi. "Luckily the mechanics did a good job and in the end I ran in FP2. This was good. Giovinazzi lapped 2.5 seconds off the pace in FP2 and was 18th, ahead of only the two Williams drivers. His team-mate Kimi Raikkonen was 1.3s quicker in 11th. Giovinazzi said: "From my side it's a little strange because I missed FP1, so I adapted a little bit... not fast. "In the end we had the whole run plan the team wanted, [and] this is ideal. "Now we need to keep working for tomorrow." Raikkonen appeared tetchy when quizzed by the media on his Friday after FP2. Questioned on what Alfa was struggling with after the sixth-placed man in the championship ended both sessions out of the top 10, Raikkonen replied: "So you know what is happening in our garage?" When asked to explain what was happening, the 2007 world champion said: "Obviously a position is what it is today. "It doesn't matter which, even if we would be last ones it's only practice. "We do normal stuff and go through everything tonight and then we'll see where we get tomorrow." He said "it's Friday, so it doesn't really matter", when asked if he was unhappy, before dismissing a question about McLaren leading the midfield battle. "I don't know," said Raikkonen. "You need to go and ask McLaren where they are. "I have no interest right now."